Fowey is a small resort and fishing village in south east Cornwall, around 12 miles from Plymouth. 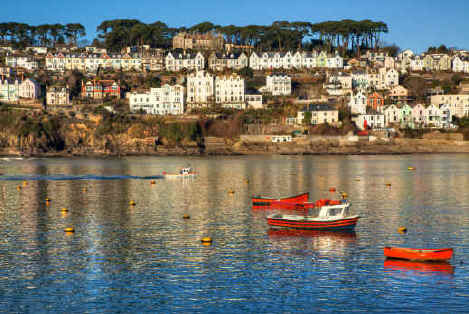 Situated on the west bank of the River Fowey the town has magnificent views across the estuary to the village of Polruan on the opposite bank - there is a ferry link between the two towns. There has been a settlement at the mouth of the River Fowey for over a thousand years when the river was a major route into Cornwall. The village developed as a centre for fishing and sea trade with France and Spain. In 1380 the Spanish fleet attacked the village and at a later date Henry VIII had St Catherine's Castle built to defend the town from further incursions. In the 1800's Fowey was a centre for the transport of china clay both within the UK and for export. Today, Fowey is a fascinating mix of port, tourist resort, fishing village and yachting centre - with over 5000 yachts visiting each year. China clay is still exported from the town quay. 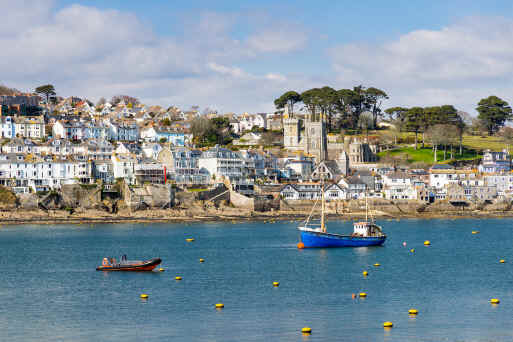 Fowey was visited by the seafarers Drake, Raleigh and Frobisher and the town has played an active part in our maritime history for over a thousand years. The narrow twisting streets are evocative of a romantic maritime past when square rigged ships could be seen at the quay and the odd smuggled cask of rum found in the taverns - ahh Jim lad! 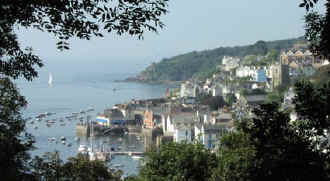 Daphne du Maurier lived in nearby Menabilly and Sir Arthur Quiller-Couch wrote of the port as, Troy Town in his novels. Fowey itself is full of interesting shops spread along the twisting streets, with some excellent restaurants and pubs to offer you refreshments. there are not many tourist attractions as such but the ambience is more than enough reason to visit. Further up the river are the villages of Golant, Lerryn and the town of Lostwithiel with the ancient Restormel Castle, all with their own charm & character, making them desirable places to live. Fowey Aquarium - On Town Quay - open in summer months. Daphne du Maurier Literary Centre - The authors connections with the town. Lostwithiel - Ancient capital town of Cornwall now has lots of antique shops and cafes. St. Catherine's Castle - Now a ruin only managed by English Heritage - free entry.